Revolution Field Hockey, a USA Field Hockey Partner Camp, has partnered with St. Timothy’s School Head Field Hockey Coach, Megan Fraser to provide a fantastic camp experience. Megan is a USA Field Hockey Masters Team Member, Former Johns Hopkins Head Coach (15 Years) and University of Maryland National Champion ’92. We will be offering 2 great weeks of day camps to choose from. Campers will train on the school’s artificial turf field. Join us for what promises to be a great week of fun and field hockey! Revolution Field Hockey is a USA Field Hockey Partner Camp making recommendations into the Futures Program. Every camper will receive a limited edition reversible jersey, ball, water bottle, and lanyard as well as other fun prizes. *Revo Field Hockey Camps are open to all ability levels. Overnight Camp Check In: 12pm – 1pm for both commuters and overnight campers. Tip for Extended Day Campers is to come at 12:30pm. First meal is Dinner. Check-in location will be at Carter House and Health Houses. Overnight Camp Check Out: Sunday, August 12th. Parents are invited to attend final scrimmages that begin with warm-ups at 9:00am. Check-out and departure will follow at 12:00pm at Carter House and Health Houses. Day Camp Check In: Campers will check-in daily at 8:30am each day at the athletic field. Please allow a few extra minutes on the first day to allow for initial registration. Day campers are required to bring their own lunch. Day Camp Check Out: Campers will check-out each day at 3pm. Below is a suggested list of items to bring to camp. We suggest that campers do not bring expensive personal items such as cameras, iPods/iPads, etc. Cell phones are allowed in the dorms and dining areas, but not on the field during training sessions. Please label every article you bring to camp. All items will be the responsibility of the camper. Revolution Field Hockey and its camp staff are not responsible for lost, stolen or forgotten items. The nearest airport is Baltimore-Washington International Airport in Baltimore, MD. You are responsible for getting yourself to and from campus, Revolution Field Hockey does not provide transportation. 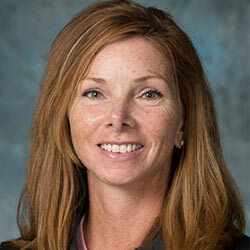 Megan Callahan is the Athletic Director and Head Field Hockey Coach at St Timothy’s School. Prior to St Tim’s she was the Head Field Hockey Coach at Johns Hopkins University for 20 years. Callahan left as the all-time winningest coach in both JHU and Centennial Conference history. During her tenure she guided the Blue Jays to 14 post-season appearances including 5 NCAA bids and 3 Centennial Conference Titles. At Hopkins, Callahan produced players which included 9 All-American, 38 Regional All-American and 66 All-Centennial Conference Honorees. Callahan is a current member of the USA Field Hockey Masters Team and has participated in the FIH Masters World Cup in 2014, 2016 and 2018 as well as the Inaugural IMHA Masters Indoor World Cup in 2017. She graduated from the University of Maryland and was a member of the 1992 National Championship team, 1993 ACC Championship team and 1995 NCAA National Finalist squad. She resides in Baltimore with her children, Gavin and Grace.